Are we returning to our ancient ancestors way of eating? Internet search trends and the enormous traction the caveman diet has gained over the last decade (especially the last couple of years) might suggest so. The paleo diet was the most googled diet of 2013, and many strength trainees, athletes, fitness enthusiasts, and even housewives and folks who previously weren’t especially interested in nutrition and health now swear by the paleo diet as a way to build a strong, fit, and healthy body. However, not everyone has jumped on the bandwagon; with the amount of mainstream attention and popularity of the paleo diet, criticism and controversy are also inevitable. This surge in negative press and articles out to debunk the paleo diet has been especially apparent over the last couple of months, and it even seems that we’re heading to a place where it’s cool to lash out against the very idea of eating like our hunter-gatherer ancestors. This criticism probably stems from the fact that the paleo diet goes against most conventional dietary wisdom, and that most people aren’t ready to give up grains, milk, and other common staple foods in the western diet and therefore rather mock the very idea of eating like our “simple-minded” prehistoric ancestors. This is not going to be one of those articles. I see no point in “bashing” a diet that focuses on eating nutritious whole foods (often organic, grass-fed, etc.). However, there are some limitations and flaws of the paleo diet philosophy, and in this article I’m going to take a deeper look at one of the basic premises of the paleo diet; the idea that our genome hasn’t fully adapted to foods introduced after the agricultural revolution (sometimes characterized as neolithic foods) and that we therefore should eat the foods our paleolithic ancestors ate if we want to optimize health and gene expression. 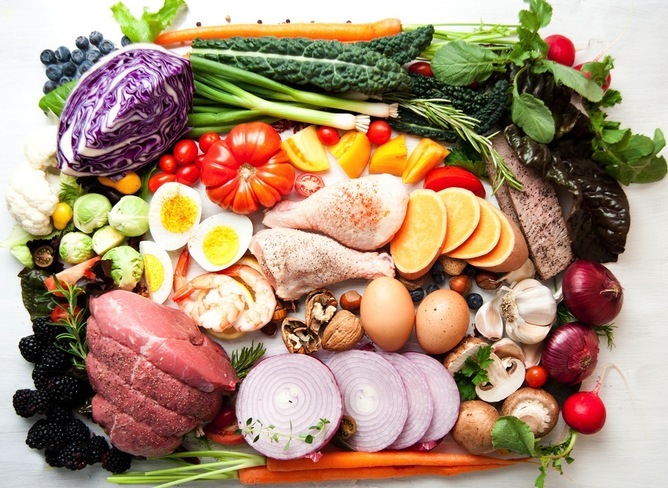 What is the paleo diet, and how is it used in the modern world? Let’s first define what the paleo diet is for those who aren’t familiar with the concept. The standard/original paleo diet consists mainly of seafood, grass-fed pasture raised meats, eggs, vegetables, fruit, fungi, roots, and nuts. While there’s some controversy regarding the consumption of legumes and cereal grains in the paleolithic, it’s generally accepted that these foods were not a substantial part of the diet of our prehistoric ancestors, and in addition to dairy products, potatoes, refined salt, refined sugar, and processed oils, grains and legumes are therefore excluded from the paleo diet. A couple of other things bear mentioning to really get a grasp of what the paleo diet is and how it’s practiced today. First of all, it’s well established that there wasn’t one universal paleolithic diet. The diet of both ancient and contemporary hunter-gatherer tribes depended/depend on several factors such as geographical location, season, climate, etc., and nutrient intake therefore varied/vary considerably between different tribes. However, it’s usually well accepted that legumes, grains, and dairy products are not an important part of the hunter-gatherer diet (again, some controversy especially related to legumes). Another thing that’s especially important to mention is that the modern approach to the paleo diet has evolved significantly over the last decade. When the idea of eating like our ancient ancestors first started gaining some popularity, the basic rule was that all foods introduced after the agricultural revolution should be avoided, and the paleo diet was exclusively composed of grass-produced meats, fish/seafood, fresh fruits and vegetables, eggs, nuts, and seeds. While some paleo advocates still stick to this original/”pure” diet, most of the big names in the ancestral health community now look at the paleo diet as a starting place for good nutrition in the modern world and typically acknowledge that some red wine, grass-fed dairy, potatoes, and other “novel” foods can be a part of a healthy diet. These exceptions include Mark Sisson who’s combined the best from both the paleolithic and the modern world into the primal blueprint, and Chris Kresser who talks about going beyond paleo. Some paleo authors even claim that their version of the paleo diet is more consistent with what our prehistoric ancestors ate than the original outline of the paleo diet. This is where a lot of the recent paleo diet critiques miss the mark. If we simply look at the paleo diet on paper it looks unnecessarily restrictive. However, when we start to understand that most paleo dieters use the hunter-gatherer diet as a template rather than a strict set of rules, most people begin to accept that basing our diets around the foods we’ve been eating throughout most of our evolutionary history is probably not such as bad idea. In the sense that many of the most popular paleo gurus no longer advocate a “pure” paleo diet, it could be argued (criticized?) that the paleo diet is more of a label – or ideology/framework – at this point. Why do some people believe that we would be better off excluding foods that our ancient ancestors didn’t eat? Although we don’t have data to really say for sure, it’s generally believed that the paleolithic man was healthy and fit – and virtually free from the so-called diseases of civilization. While the average lifespan was shorter than it is today, this decreased life expectancy is often attributed to the harsh elements our paleo ancestors faced, warfare, infant mortality, accidental deaths, etc. Since knowledge about health and life expectancy in the paleolithic is primarily based on archeological data, it’s evident that we can’t really draw firm conclusions. However, several studies over the last centuries have unanimously shown that hunter-gatherers who are unaffected by western lifestyle are extremely healthy and virtually free from diseases such as cancer, cardiovascular disease, type-2 diabetes, and obesity (1,2,3). These healthy populations have widely different diets and lifestyles, but there are also some common characteristics that contribute to their good health. These include a moderate-high amount of physical activity (some exceptions), a paleo diet, regular sun exposure (some exceptions), “microbial exposures”, and low exposure to pollutants. So, while diet is only one of the factors that keep these indiginous people so healthy, it’s also typically considered the most important one. The basic idea behind the paleo ideology is that the ancestral environment and lifestyle promote a normal phenotype, and that the gene-environment mismatch we’re now facing in the modern industrialized world is the primary cause of diseases of civilization. While few people with some experience in biology and nutrition are going to disagree with the basic idea behind evolutionary mismatches and the modern suboptimal phenotype, it’s the paleo diet’s focus on agriculture that often stirs up a lot of debate. Basically, the paleo diet builds on the idea that our genome hasn’t had enough time to adapt to foods introduced after the agricultural revolution and that we therefore should eat like our paleolithic ancestors to optimize health. It’s generally accepted that the introduction of agriculture coincided with a shortening of stature and decline in human health, and it’s often believed that these changes were mostly due to the increased consumption of cereal grains and dairy products. However, while this lends support to the idea that neolithic foods are inferior to the foods we ate during the paleolithic, it doesn’t say that 10,000 years is too little time to adapt to grains, legumes, and dairy. In general, there’s a lot of controversy regarding the human genome and adaptation to new foods. Some researchers say that 10,000 years is more than enough time, while paleo advocates argue that 10,000 years is just a drop in the sea compared to the millions of years of human evolution. Anyways, that is not what i want to talk about in this article. Rather, I want to highlight the importance of the second genome in our body – the human microbiome – and the essential role it plays in the digestion and metabolism of food. Thanks to the human microbiome project and other massive research projects around the world, we now know that trillions of microorganisms from thousands of different species inhabit the human body and that the total genetic repertoire of these germs is at least 100-times greater than that of the human host – essentially making us only 1% human from a genetic point of view (4,5). Most of these old friends live in the gastrointestinal tract, where they help us digest food and provide other essential functions that stretch far beyond the scope of our own physiological capabilities. While our human genome is “only” able to produce the necessary enzymes to break down starch, simple sugars, and most proteins and fats, the microbiome can adapt to break down a wide range of food ingredients. While we’ve learned through epigenetics that we can impact gene expression, it’s generally accepted that the human genome changes fairly slowly over time; which is why some people argue that 10,000 years is not enough time to adapt to neolithic foods. However, we’re now learning that the vastly more genetic diverse microbiome adapts rapidly to changes in diet and lifestyle. Just a single meal has an impact on the composition of microbes in the gut, and several days on a vastly different diet than the one you ate before can lead to dramatic shifts in the gut (6,7,8). The diversity, complexity, and dynamic nature of the microbiome explain why humans can be 99% different in terms of their microbial inhabitants, while it’s often estimated that we’re 99% alike in terms of our human genome. But why does this matter in terms of genetic adaptation to neolithic foods? Just like certain genes in our human genome are needed to encode the enzymes needed to break down starch, maltose, and other nutrients, the microbiome also helps us break down and metabolize the food we put in our mouth. Just think about the process that goes on in the fermentation of milk into kefir or cabbage into sauerkraut, where bacteria are able to break down the carbohydrates in these foods. A similar process goes on in your digestive system. And this is where it really gets interesting in terms of genetic adaptation to new foods. While our capabilities to alter the human genome is limited, we can add new genetic material to the microbiome by introducing new types of bacteria. A well-known example of this type of adaptation is seen in japanese people who harbor unique genetic material in their intestinal tract that help them digest seaweed. These genes were probably acquired through eating bacteria that thrive on seaweed in the open ocean (9). 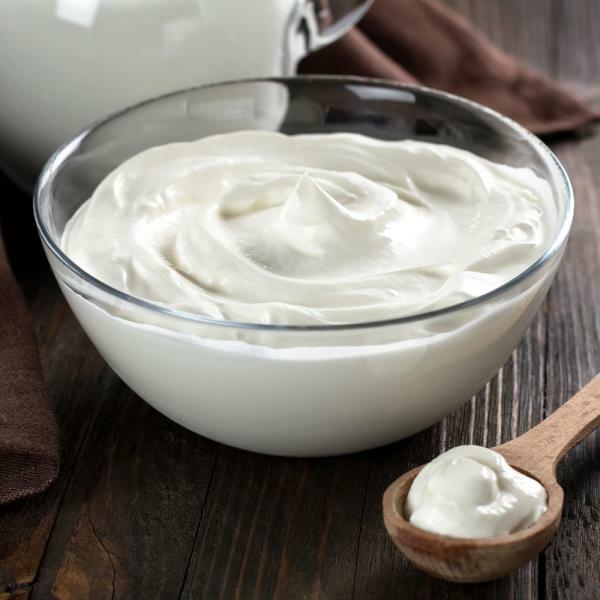 The fact that we can add genetic material to the microbiome explains why symptoms of lactose intolerance are alleviated following regular consumption of yoghurt or other types of products that provide lactose-digesting bacteria (10,11,12). Even if these critters aren’t able to colonize the GI tract, they can still transfer genes to bacteria present in the gut through horizontal gene transfer. See, unlike humans who pass DNA from parents to offspring, microbes are able to transfer genes in a manner other than traditional reproduction – and in the gut it goes on all the time. It’s important to note that this is not an overnight process as it takes time for lactose-digesting bacteria to get established in the gut. It’s also important to note that one has to consume small amounts of lactose to allow the bacteria to get a foothold. So, you can basically manipulate the microbiome by providing new microbes (and the genetic material they hold) and/or substrates that microbes feed on. And it doesn’t only apply to lactose. Recent discoveries have shown that some microbes produce enzymes that degrade gluten (13,14,15) and phytic acid (16) – two of the most cited reasons for avoiding cereal grains. I believe the state of the microbiome largely explain why some people tolerate some foods (such as grains) just fine, while others don’t. What does this mean in terms of designing a healthy diet? Does this mean that we have adapted to grains, milk, and other foods banned from the paleo diet? Not so fast… By now it’s well accepted that the western lifestyle is a master manipulator of the microbiome, and there are now thousands of studies showing that modern hygiene, processed foods, antibiotics, c-sections, etc. perturb the microbial ecosystems that live in and on our bodies (17,18,19). The westernized microbiome lacks diversity and resilience and is most likely only a faint imprint of the microbiome of our prehistoric ancestors. Loss of microbial diversity and dysbiosis (imbalance) have now been linked to a multitude of diseases and are without a doubt a driving force behind the increased rates of autoimmune disorders, food sensitivities, and food allergies now seen in the industrialized world (18,20,21). Especially relevant to this article is the increased prevalence of grain- and gluten-related disorders, which have been linked to gut dysbiosis and a loss of microbial old friends. 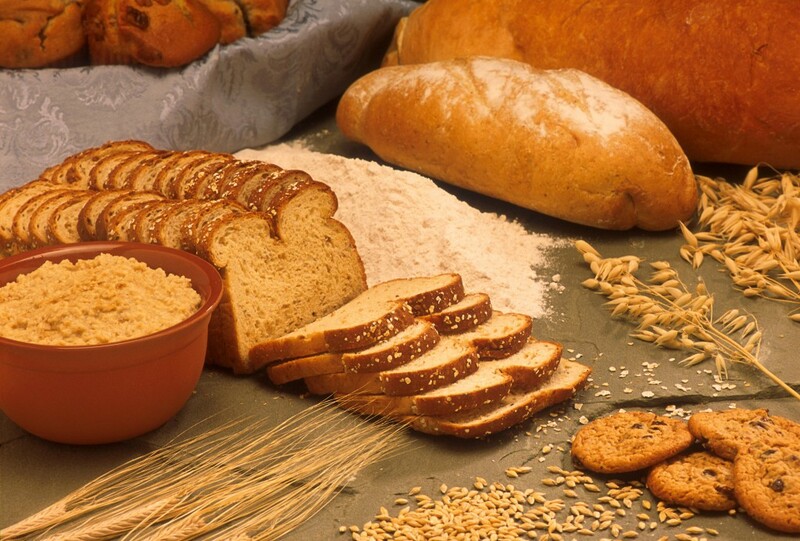 What this means is that even though some gut microbes are able to break down gluten and other potentially harmful components found in food, an unhealthy microbiome – rid of diversity – in combination with for example a wheat-heavy diet can be a terrible combination. This can also help explain why some non-westernized people, which have never taken antibiotics, eat “dirty” real food, regularly consume microbe-laden dirt, and are known to have vastly more diverse microbiomes than westerners, seem to maintain good health even on grain-based diets, while so many anecdotal reports from people in the modern world suggest that folks often experience better health when they reduce their consumption of cereal grains. However, it should also be noted that traditional populations typically soak, grind, ferment, or use other traditional processing techniques in order to make cereal grains easier to digest. Part of the reason many people report better digestive health when they remove grains from their diet is probably because we have strayed away from these processing techniques in the industrialized world. Microbiome research is blooming and probiotic supplements specifically designed to deliver bacteria capable of breaking down various food ingredients in our diet might soon be available. But do we really need them? In terms of lactose intolerance we already have the means to treat this with fermented foods and probiotic supplements that contain bacteria that are able to break down lactose. Some traditionally fermented grain products probably work in the same way (depending on the bacteria present in the food and the food ingredients they degrade), but here’s the scientific research more scant. Anyways, it’s well known that traditionally fermented grains and legumes are low in antinutrients (one of the key reasons paleo advocates say neolithic foods should be avoided), and taking the time to properly prepare these foods could therefore be worth the time. In general, eating more high-quality fermented foods (e.g., sauerkraut, greek yoghurt), fermentable substrates (e.g., resistant starch, inulin-type fructans), getting dirty once in a while, and returning to old food practises is a good idea if you want to establish a healthy microbiome. While only a few types of food ingredients are officially classified as prebiotics, the fact is that a wide range of compounds in food have prebiotic properties as as long as you harbour the right types of gut bacteria. For example lactose can be broken down by lactose-digesting bacteria in the gut if these are present, and byproducts that benefit the human host are then produced. However, the caveat is that we don’t know enough about the microbiome to accurately say which bugs are “good” and which are “bad”. Yes, we do know that some species of bacteria such as lactobacillus and bifidobacteria are probably beneficial to human health, but we have to remember that the gut microbiota is made up of many hundreds of species of bacteria, many of which we know little about. Is the gut microbiota that results from a grain-based diet good for us? We don’t know at this point. Also, it’s very important to note that although the microbiome can adapt to break down a wide range of food ingredients, this doesn’t mean that we should necessarily eat a lot of grains and drink milk. The fact that you’re able to digest and metabolize a food without trouble, doesn’t mean that you should necessarily eat that food. There are other legitimate reasons to decrease the consumption of grains, such as their inferior micronutrient profile compared to vegetables, fruits, and high-quality animal source foods. I rarely eat cereal grains or drink milk myself, and I don’t believe that a grain-based diet is the way to go for optimal health. 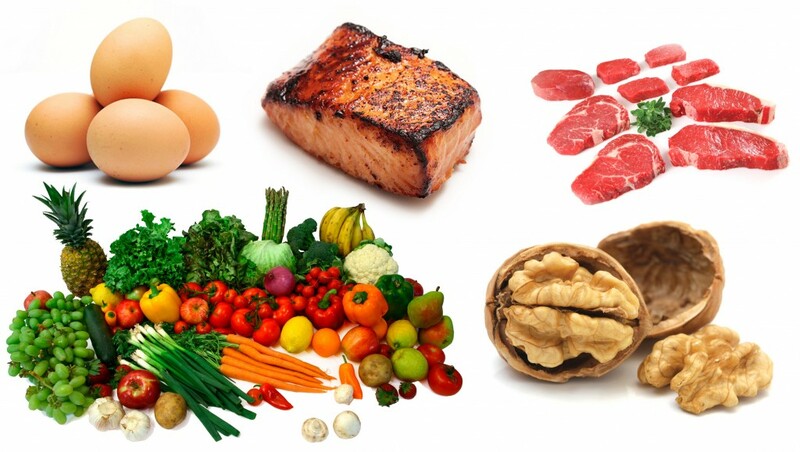 However, I do believe that the paleo diet is unnecessarily restrictive for most people and that potatoes, most legumes, cacao, grass-fed fermented dairy products, wine, and some other foods banned from the caveman diet can be a part of a healthy diet. But why did I include the word ‘unexpected’ in the title of this article? It’s certainly not unexpected in the sense that the human microbiome is uncharted territory in the paleo community; on the contrary, many paleo authors have been at the forefront in terms of highlighting the importance of the critters that live in and on us, and resistant starch, soil-based probiotics, and fermented foods are especially popular in the ancestral health community. It’s unexpected in the sense that it’s only in the last decade – and especially in the last couple of years and months – that we’ve started to understand that the gut microbiome’s role in digestion and metabolism stretch far beyond the breakdown of non-starch polysaccharides. It’s not many years ago that all the focus was on the human genome in terms of genetic adaptation to new foods, and I think no one could have predicted that the second genome in our body could be even more important in many regards. The groundbreaking new research on the microbial ecosystems that live in and on our bodies have significant implications for medicine and nutrition. In terms of adaptation to new foods, we’re now learning that although the human genome changes slowly, the microbiome can respond rapidly to dietary changes. Since there’s still a way to go before we know the details, extent, and implications, I want to emphasise that this doesn’t debunk the genetic argument of the paleo diet, it simply highlights the limitations of only looking at the human genome, and questions the belief that we can’t rapidly adapt to new foods. One of the basic premises of the paleo diet is that we haven’t had enough time to adapt to foods that were introduced after the agricultural revolution. However, we’re now learning that although our human genome changes slowly, the human microbiome – the collective genomes of the microbes (composed of bacteria, bacteriophage, fungi, protozoa and viruses) that live inside and on the human body – can be altered fairly rapidly. Some types of bacteria have the ability to degrade gluten peptides, lactose, phytic acid, and other food ingredients that are often considered the primary “toxins” in neolithic foods. The fact that the microbiome responds to changes in environment and lifestyle and that we can manipulate the gut microbiome by introducing new types of bacteria (e.g., fermented foods) and fermentable substrates/prebiotics, questions the idea that we need thousands of years to adapt to new foods introduced in the human diet. However, there are other legitimate reasons to decrease your consumption of milk, cereal grains, and some other foods banned from the paleo diet. First of all, widespread use of antibiotics, excessive hygiene, consumption of highly processed foods, increased rates of caesarean sections, and other factors associated with life in the modern world perturb the human microbiome, and some researchers have now begun talking about a westernized microbiome that has lost its original diversity and resilience. Another obvious issue with the modern way of life is that our food supply is extremely clean/sterile. While we’re doing everything we can to avoid rare pathogens, we’re also removing microbes that would have benefitted us in the sense that they help us digest the foods we’re eating. Second, even though we can adapt relatively rapidly in order to digest and metabolize new foods, it doesn’t mean that we should necessarily be eating these foods. Just like with all other foodstuff, there are other concerns one has to keep in mind when designing a healthy diet, such as macronutrient composition, food quality, necessary processing, micronutrient profile, etc. Perturbations in the human microbiome and the fact that we have strayed away from traditional processing techniques can help explain the rise in grain- and gluten-related disorders and anecdotal reports from people experiencing better digestive health when they exclude cereal grains from their diet. Instead of the foods themselves, the big problem seems to lie in the way they are processed and how we have mishandled the microbial digestive machinery in our gut. By choosing high-quality products and returning to old traditional practices, such as fermentation of milk and grains, we can get optimal benefits from these foods. There’s little doubt that modern humans now face a gene-environment mismatch in the sense that we’re not adapted for a sedentary lifestyle, highly processed foods, regular use of pharmaceuticals, little sun exposure, etc. It’s also no doubt that we can learn a lot by studying the ancestral natural environment and the way we once lived as hunter-gatherers. The great thing about the paleo diet is that it’s rich in nutritious whole foods, which are very satiating per calorie. Also, it’s low in allergens, aninutrients, and other food ingredients that often cause issues in a damaged western gut. However, it’s also unnecessarily restrictive for most people and probably works best as a starting point – rather than a strict set of dietary rules. Name: Eirik Garnas Website: www.OrganicFitness.com Besides studying for a degree in Public Nutrition, Iíve spent the last couple of years coaching people on their way to a healthier body and better physique. I’m educated as a personal trainer from the Norwegian School of Sport Sciences and also have additional courses in sales/coaching, kettlebells, body analysis, and functional rehabilitation. Subscribe to my website and follow my facebook page if you want to read more of my articles on fitness, nutrition, and health. What an excellent and well prepared piece, Eirik. These days you have to be both nutritionist and scientist to understand all the health news and nutritional “rumors” out there. You’ve accomplished both. Looking forward to your next article, as always. Thanks Jean! I remember that you sent me an e-mail a couple of months ago, hope you’re doing well with your diet. Well, I’ll tell you, Eirik, I’m very tired of reading about all the “new” stuff out there; with the brilliant exceptions of you and Tom Naughton, I’m pretty much just distilling what seems the most intelligent of the “facts” and basing my own diet on them. I grew up in the 50s and we were all slim and active, playing out doors, walking to school, etc and eating whatever my mother made from the 4 good groups, as it was known back then. I’ve pretty much gone back to eating that way, and realized I’ve been doing that for some time, I just have to reduce some portions and try to be more active, although it’s difficult because of job stress and not sleeping well for years. Nice article. The problem with the Paleo Diet is that historically there are many food that our ancestors ate depending on the region in which they lived. People adapted to shorter growing seasons as they moved toward the poles. Diary food became important and the gut did respond to this. Love the Human Gut Project and encourage all to send in a sample. Encouraging women to give birth vaginally instead of via Caesarian Section will help our babies, as will breast feeding and having a dog. But as adults we can hardly go back and change any of this. The microbiome is pretty well established by age 3 years of age. Eating fiber and avoiding antibiotics also helps, but in reality eating no meat is better than eating meat. ( see Dean Ornish’s latest research). Anyway, the argument for multiple paleolithic diets assumes the time AFTER diaspora diversified our genome more than our time evolving in Africa…which the papers’ author argues as unlikely. I would agree. This is a great post. I learned a lot from your attention to the role of the human microbiome in individual food tolerance, and your practical recommendations were spot on. Alan Aragon makes a similar mistake in his critique of Paleo, reserving his criticism to a version of Paleo — in terms of theory and practical advise — that probably only Loren Cordain holds. What is valid in Aragon’s argument has NO application to the positions of the above-named experts. However, unlike Aragon, you clearly realize that the community discussing ancestral health does not consist only of those following a fad diet, but is comprised of those, like you, who are seeking to optimize health by discovering which foods they as individuals thrive best on. I even mention specifically the factors you talk about. Thanks for responding, Eirick! I suppose my main point is that there is no “Paleo diet philosophy” at all, only individual Paleo authors. Further, the one’s I mentioned understand, like you, “that the gut microbiome’s role in digestion and metabolism stretch[es] far beyond the breakdown of non-starch polysaccharides.” It’s new stuff, so there is an unexpected ROLE of the second genome. But because these authors are on board, I wouldn’t call it an FLAW in their current “philosophy.” In other words, in your penultimate section, you explain why the second genome has an unexpected role, but you never explain the burden of your title, namely, that there is an unexpected flaw in the current “Paleo diet philosophy.” Instead of “The Unexpected Flaw of the Paleo Diet Philosophy?” how about “The Unexpected DISCOVERY of Paleo Diet Philosophers?” Less catchy, I know, but it avoids the implication that the flaw in question is current. Nonetheless, you clarified the nature of this role of the microbiome as well or better than anyone I’ve read on the topic, so thanks again for this great article! I see your points, but I have to say that I disagree. While most paleo authors don’t really recommend a “pure” paleo diet and rather look at the paleo diet as a template at this point (which I made very clear in the article), the paleo diet is still (as its name implies) about eating like our paleolithic ancestors. The original premise of the diet is that 10000 years isn’t enough to fully adapt to new foods introduced in the human diet, and that we therefore haven’t had enough time to adapt to foods introduced after the agricultural revolution. The basic philosphy behind the paleo diet remains even though many of the big names in the ancestral health community have created their own spinoffs (e.g., perfect health diet, primal, beyond paleo). If we start to include all of these different paleo “versions” when talking about the paleo diet, we end up with a diet that only excludes the obvious offenders such as refined grains, sugar, processed vegetable oils, etc. We can discuss which foods that were a part of the diet of the paleolithic man, but we can’t say that the paleo diet is no longer the paleo diet because some athours have created their own spinoffs. Kresser and Lalonde are very clear here (http://chriskresser.com/rhr-what-science-really-says-about-the-paleo-diet-with-mat-lalonde) that nutritional decisions should be based NOT on what PALEO man ate but on an understanding of NEO-LITHIC human physiology, chemistry, etc. Importantly, I think they, thinking in harmony with Robb, are major spokespeople for “the Paleo diet,” albeit according to a paradigm that is an alternative to the Cordain paradigm. So, again, I’m all about saying which particular author is flawed, and I think your critique is quite accurate when applied to Cordain. For some reason it wasn’t possible to reply to your last comment. Yes, I understand your points, and I think we pretty much agree on most things. What I’m saying is simply that the paleo diet is still the PALEO diet, despite the widely different “versions” promoted by different paleo authors. The underlying premises of the paleo diet still remains. The paleo diet is based on the idea that we should eat the foods our paleolithic ancestors ate (to the extent that is possible in the modern world). If we abandon that basic idea and suddenly start including dairy products, traditionally prepared grains, cacao, red wine, etc. under the paleo label, then we can’t really call it the paleo diet anymore. We can’t say that the paleo diet now includes dairy, simply because many paleo advocates “allow” some types of dairy products in their nutritional recommendations. I’m familiar with the work of all of the big names in the ancestral health community and have a lot of respect for guys like Mark Sisson, Chris Kresser, Stephan Guyenet, etc. Okay, I totally gotcha now. Thanks! As usual, Erik, you have written a well rounded, thoughtful article. I’ve read so many articles, by so many people. I think yours are truly the best. I look forward to new ones very much. Do you have any sources you wouldn’t mind providing for this statement? The claim that the food types themselves are the sole origin of the decrease in height instead of a potential contributing factor seems like it might be oversimplifying the massive dietary and cultural changes brought by agriculture. Of course, if you have other sources, please share, as I’m always interested to learn more about this subject. I can’t edit my post, so I’ll correct myself here. You didn’t say they were the sole factor, but I’d like to see some sort of evidence that grains and dairy played a role. It’s difficult to accurately define the relative importance of the various factors (e.g., introduction of grains, hunger, reliance of single crops) in relation to the decline in human health that accompanies agriculture. Now that was one hell of an article. Thank you very much for also putting the reference links. People always want to belong to a group (see religion, politics) and look for a defined agenda within that group. It is not different for the Paleo-Movement. This article does good work avoiding stepping on too many followers toes while still showing that there is no ‘one truth’ in terms of ‘eat that, not that’. Thanks again! These days there is so much fuss about this diet and that diet. All along the principles of a good diet has been made clear to most of us, most especially living in the information age but unfortunately the human mind makes things more complicated. Eirik’s article aligns beautifully with my thinking, but was masterfully written. I agree with the conclusion that just because we find that a food can be metabolized doesn’t mean we should eat that food. And if we choose to eat it, as, say, grain, that we should change to a grain based diet. In the 1970’s and early 80’s, I used to use hand-ground, organic whole wheat berries to make sour dough bread. I used my own sour dough starter which was quite weak in rising power compared to commercial baker’s yeast. I ground the flour and started the dough prep immediately after getting enough flour for 2 loaves of bread. Rising times with that sourdough starter were often hours. A couple of risings later, maybe 6 hours, and the bread was ready for the oven. What I am only recently realizing, after reading about our microbiome and gut environment, is that the long rising times may have helped the yeast break down the phytic acid, and also certainly helped other ferments take place — some from airborne bacteria getting mixed into the dough during punch-downs. Also, bread making on the heels of grinding the flour prevents oxidation of the precious polyunsaturated fatty acids (PUFA) in the flour. You never get this benefit when you buy commercial flour, or even commercial pastries, so even with organic, stone ground flour, the PUFA is likely oxidized and will be destructive to your body. So even for someone “trying this at home”, grain usage can have pitfalls. So healthy grains don’t necessarily make healthy breads. It’s not just the ingredients, but the process that involve devilish details. This is a reason to limit certain questionable items in the paleo diet. So I agree, done right, and in moderation, a little grain is not a bad thing. But the average reader of this article may have no idea how truly healthy bread might be made, and I may yet be missing some considerations on how to get grain acceptable as a paleo food. Personal update — I don’t make bread any longer. Once every 2-3 weeks I might eat some moistened raw oatmeal. Pasta – same frequency. I do believe in fostering as healthy a microbiome as possible in the name of immunity. To that end, I hope I have a very robust set of dominant species in my gut, and to those I trust the observation, classification, approval or disapproval of all other species that I continue to consume with plenty of raw, marginally dirty foodstuff. I eat lots of fiber, not just resistant starch, and very little low-density carbohydrate. No refined sugars. Though I sent in a stool sample to the American Gut Project a couple of months ago, I don’t have results yet. But I’m fairly sure my gut is quite healthy, not having allergy or inflammatory conditions now that I was plagued with in the past. I’m looking forward to the results of the Project’s assay though. The author seems to have forgotten that the colon is downstream of the small intestine. Therefore, no change in gut flora can possibly make gluten grains safe to eat — because the mechanism by which gluten grains cause leaky gut and thereby inflammation, autoimmunity, etc. (partially-digested gliadin peptides mimicking zonulin: see Fasano 2011) occurs in the small intestine. Gut flora is important, but it neither causes nor fixes all the problems of evolutionary discordance. We’ll know that humans have adapted to an agricultural diet when people start dying of gluten deficiency. It’s true that the large intestine harbours the largest communities of microbes, but complex microbial communities are also found in the upper GI tract (e.g., read this http://www.nature.com/ismej/journal/v6/n7/full/ismej2011212a.html). Regarding gluten; at least one of the studies I link to in the article focuses specificially on gluten degraders in the upper GI tract. Incredible article! Yeah that’s why I made my diet a little different from the Paleo because I as well believe dairy like yogurt and butter can be very good for you as well as simple starches like potatoes and low Glycemic sugars. I think the Paleo diet is more of a premise of simplicity and why it is important not to over crowd yourself with too many food choices. The article said that we can all agree that the Paleo Diet isn’t a fad diet. I’ll go ahead and disagree with that. I’m 45 years old, and this is the third time in my lifetime that Paleo has come around. It was called something different the first two times, and like all fad diets, went away. This version has certainly had more steam behind it, but even the foundational evolutionary and anthropological bases for the diet are beginning to unravel. PaleoFantasy is a great critique of the Paleo lifestyle, and it’s kind of funny how it becomes a battle of who has the greater grasp of evolution than the other guy. Each player claims to be more “scientific” or “true to our evolution”, but they all seem to forget that science isn’t fixed. It’s necessarily evolving, growing, and getting better at observation and analysis. It always amuses me when people try to “out-science” the other person because, like theology, there’s always a way to defend your position with another verse or another study. To the author – you put an awful lot of effort into this article, and I could really see you working. Kudos for that. But you’ll eventually see that there is nothing new under the sun, and that everything in modern health and nutrition is almost necessarily a fad. People can tolerate very little else. You’ll also eventually discover that science is only as good as its most recent, accurate observation and analysis. It’s a moving target. This diet was scientifically sound….right up until the point when it wasn’t! I say this as someone who actually eats in a way that mirrors the Paleo diet, but I’ve never done it because of a Paleo theory. The point is, I actually like the diet, but the backstory and philosophy underlying it is seriously unraveling. Again, for the third time in my lifetime. It won’t be the last – trust me. I would love to do research with this guy! I’m about to graduate college and have been studying microbiology and food for so long! He is so right! I follow a paleo diet, but heavily believe in a healthy microbiome and preparing foods properly!